What we’ve discovered down South has been unreserved hospitality. A few years ago on our first trip through the Bayou State the weather turned cold. We became stranded in the town of Natchitoches, blind-sided by a gale of sleet. Thrilled locals informed us they hadn’t seen snow in NAK-a-tish (that’s how it’s pronounced) for nine years. As polite Canadians, we controlled our elation. 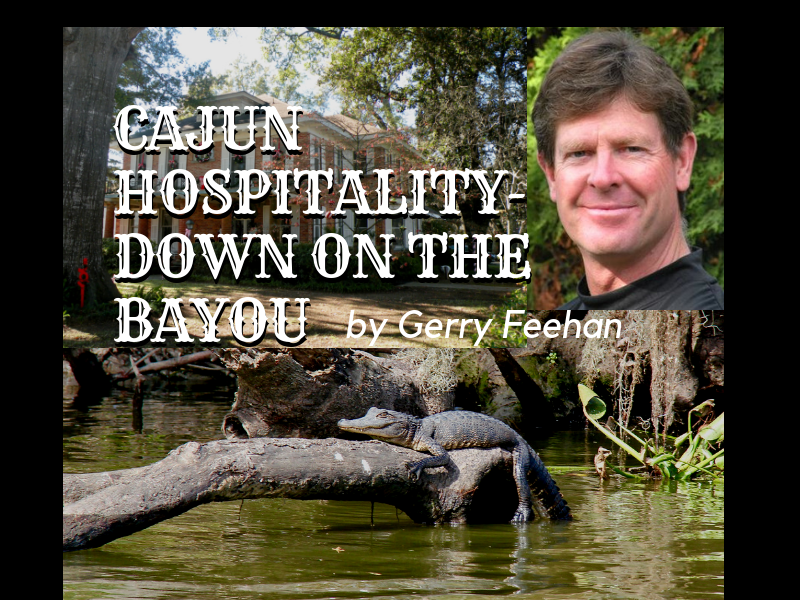 Check out other stories by Gerry simply by clicking on the title below. It’s not clear if any Canadians were among the victims of the blasts, whose targets included hotels and a church frequented by tourists. Sri Lanka’s Foreign Ministry said the bodies of at least 27 foreigners were recovered, and the dead included people from Britain, the U.S., India, Portugal and Turkey. China’s Communist Party newspaper said two Chinese were killed. “Absolutely horrific news from Sri Lanka. Canada strongly condemns the heinous attacks on Christians at churches and hotels. Our hearts and thoughts are with the families and loved ones of those killed and all those injured,” Trudeau wrote in a tweet Sunday morning. Sri Lanka’s defence minister described the bombings as a terrorist attack by religious extremists and said seven suspects had been arrested, though there was no immediate claim of responsibility. He said most of the blasts were believed to have been suicide attacks. Rauf, who moved to Canada nine years ago after graduating from university in Sri Lanka, said he’s at a loss to explain the reasons behind the violence — but he’s confident his homeland will persevere. “Sri Lanka as a nation has come through the worst period that it could ever come out of. We had a civil war for 25 years,” he said. Canada is home to roughly 150,000 people of Sri Lankan or mixed Sri Lankan descent, most of them in Ontario, according to 2016 figures from Statistics Canada.